Action hero Arnold Schwarzenegger is back home in Los Angeles and in good spirits after undergoing open heart surgery following complications with a routine operation, his spokesman said on Friday. The former Mr Universe underwent non-urgent heart surgery in 1997 to have the valve put in, due to a condition he said was congenital and had nothing to do with steroids. “That 1997 replacement valve was never meant to be permanent, and has outlived its life expectancy, so he chose to replace it… through a less-invasive catheter valve replacement,” Ketchell said after the successful operation. 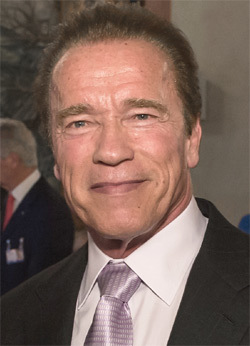 Schwarzenegger has been tweeting during his stay at the Cedars-Sinai Medical Center, telling fans on Monday that “It’s true: I’m back!” — a play on his famous catchphrase “I’ll be back!” He has used the line — or close variations — in numerous movies, including “The Terminator,” “Commando,” “Raw Deal,” “The Running Man,” “Twins,” “Total Recall,” “Kindergarten Cop,” “Last Action Hero,” “Jingle All the Way,” “The 6th Day” and “The Expendables II.” The Austrian-born former bodybuilder was voted in as governor of California in a historic 2003 recall vote — but proved the win was no fluke by routing opponent Phil Angelides to get re-elected. “I went to sleep expecting to wake up with a small incision and woke up with a big one — but guess what? I woke up, and that’s something to be thankful for,” Schwarzenegger tweeted from hospital.